The expert team of our company offers a wide array of premium quality Antifungal Tablets to our esteemed clients. We procure these products from certified and reliable vendors and offer them at market leading prices. Our range includes Fluc 50mg, Fluc 100mg, Fluc 150. 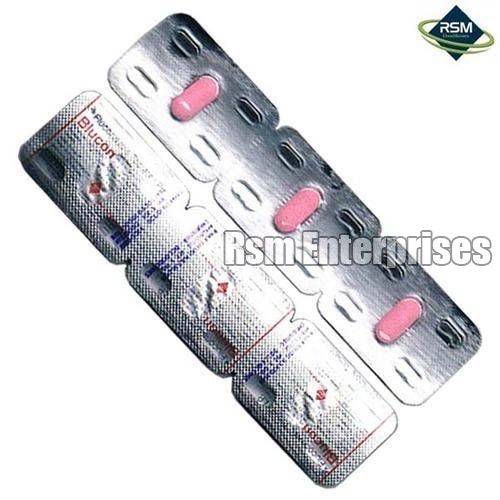 Fluc 50/100/150/200mg (Generic Diflucan), or Fluconazole is used to treat pneumonia, meningitis, and fungal infections of the mouth, throat, liver, kidneys, heart, urinary tract, and abdomen. It also has been used to treat vaginal infections and oral thrush in certain patients. This medication is sometimes prescribed for other uses; ask your doctor or pharmacist for more information. How should Fluc (Generic Diflucan) taken? Fluc (Generic Diflucan), or Fluconazole comes in a capsule or tablet form. It is usually taken once a day. Follow the directions on your prescription label carefully, and ask your doctor or pharmacist to explain any part you do not understand. Take fluconazole exactly as directed. Do not take more or less of it or take it more often than prescribed by your doctor. Continue to take fluconazole even if you feel well. Do not stop taking fluconazole without talking to your doctor. Tell your doctor and pharmacist if you are allergic to fluconazole or any other drugs. Tell your doctor and pharmacist what prescription and nonprescription medications you are taking, especially anticoagulants ('blood thinners') such as warfarin (Coumadin), antiviral agents such as zidovudine (Retrovir, AZT), astemizole (Hismanal), asthma medication.